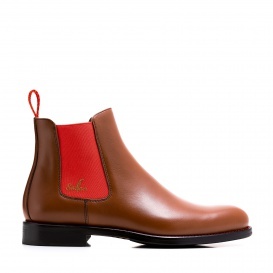 The cognac-coloured Chelsea Boot in itself appears as a modest and classic shoe. 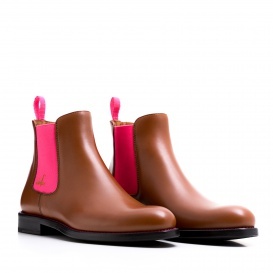 In combination with the pink elastic bands this boot gets that certain something and arouses a lot of attention. 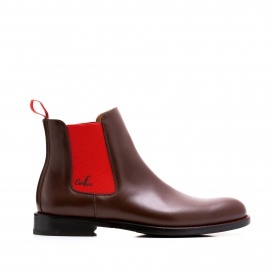 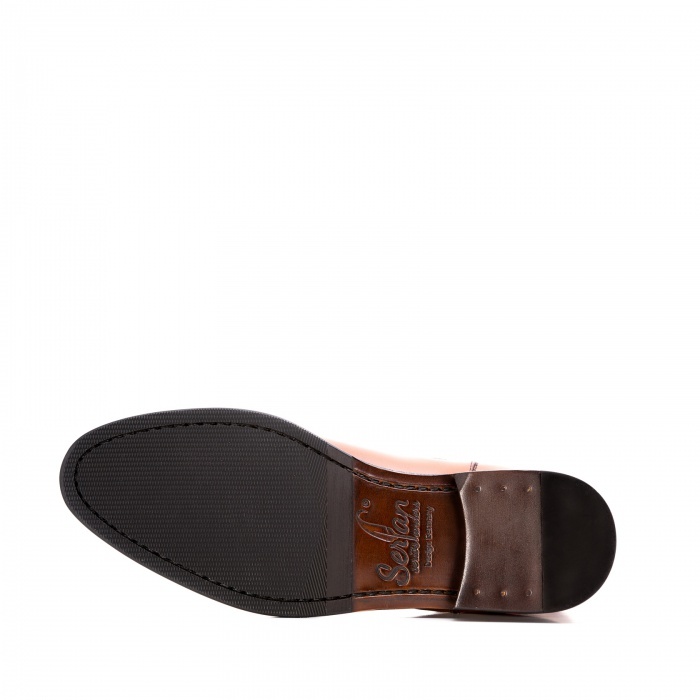 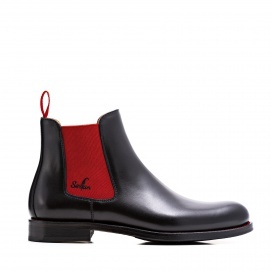 Typically for the Chelsea Boot are the elastic bands on each side of the shoe, which faciliate a perfect fit for the foot and offer a high wearing comfort. 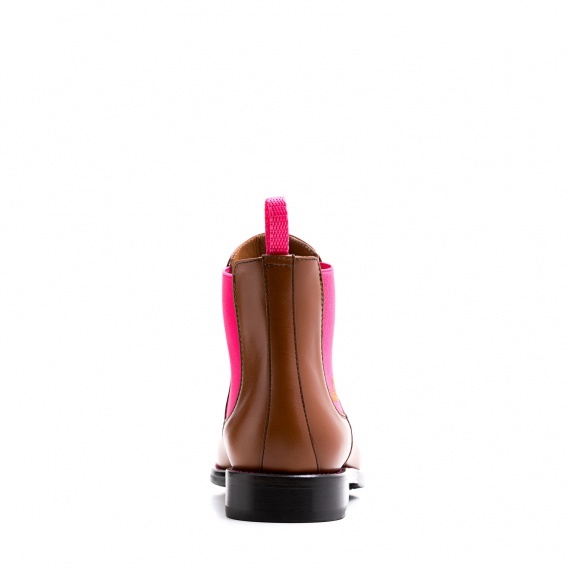 Wear this boot to the trendy jeans-on-jeans look by combining a slim jeans shirt and a casual boyfriend jeans. 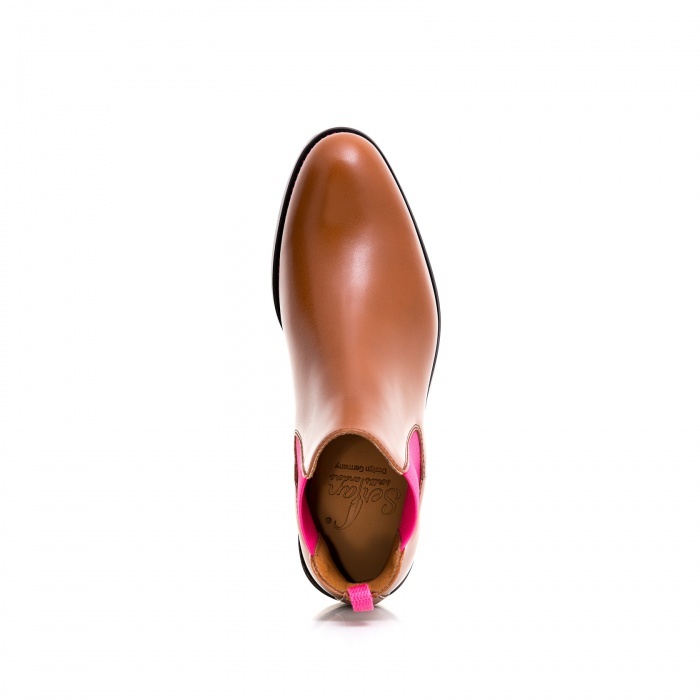 Complete your outfit with some minimalistic accessories.